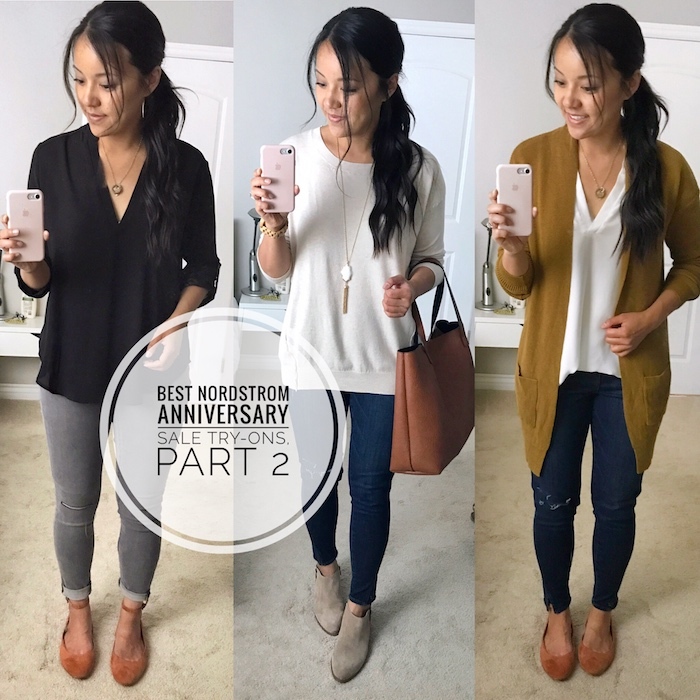 Nordstrom Anniversary Sale REVIEWS, Round 2 + Public Access Opens! Hooray, the Nordstrom Anniversary Sale opens to all non-cardholders for Public Access tomorrow, Friday 7/21! SIZING: For reference, I’m 5’6″ and normally 6/8 or S/M and 8.5 to 9 in shoes. 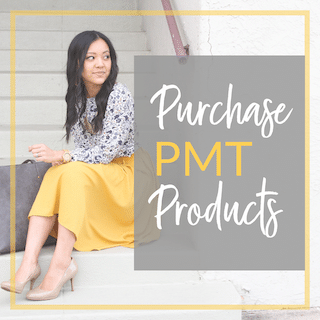 These were a PMT favorite from last year, and I’m so glad they’re back in the sale this year! Only leather versions are available right now, though mine are suede. Last year, I think more colors and suede/leather options became available mid-sale, so hopefully that’s the case again this time. These are fairly comfortable with a soft, flexible upper–at least in suede. 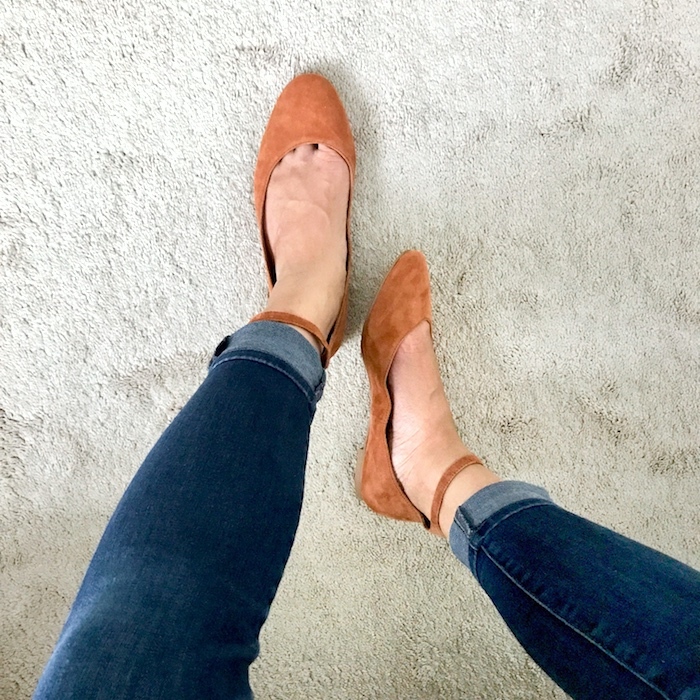 The low stacked heel is easy to walk in, though I still prefer wearing an insole for extra cushion. But, what I love most about them is the low shaft for elongating your leg line. I have curvier calves and skinny ankles, so many flatter booties with a higher shaft look strange on me. There’s a lot of room around my ankles, and they cut off my leg line. 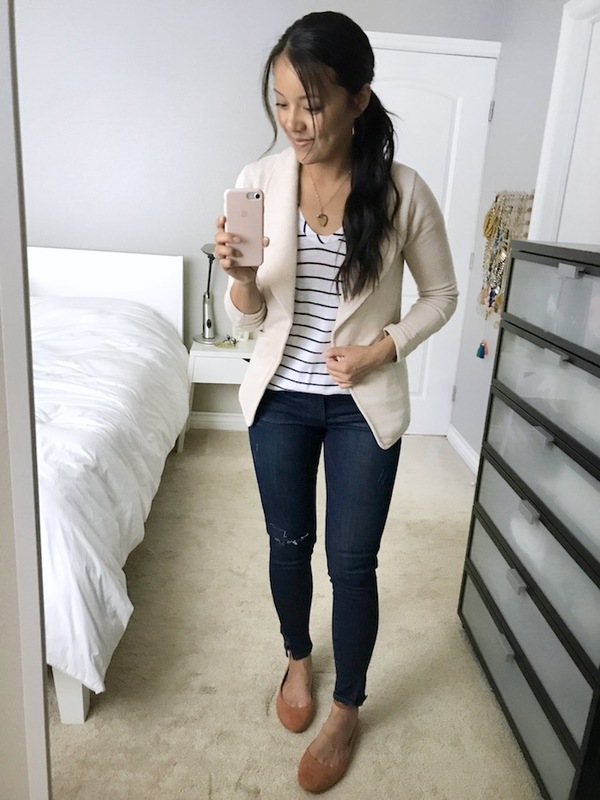 Not so with this low-shaft Franco Sarto pair! 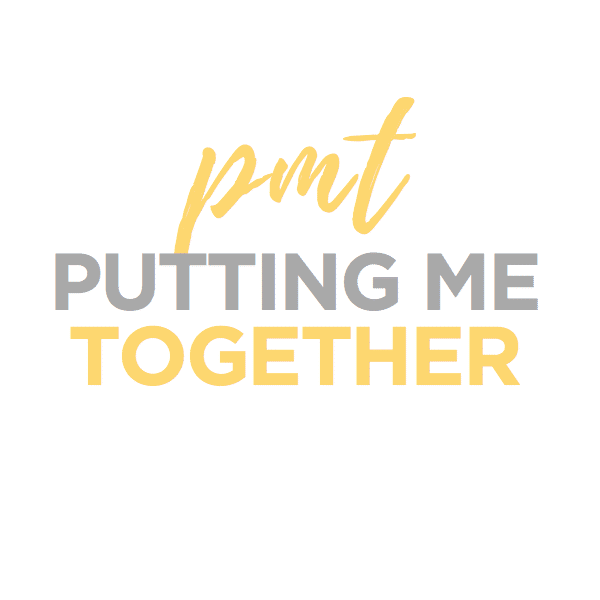 Many, many PMT readers got these last year and have told me all year how much they love them! 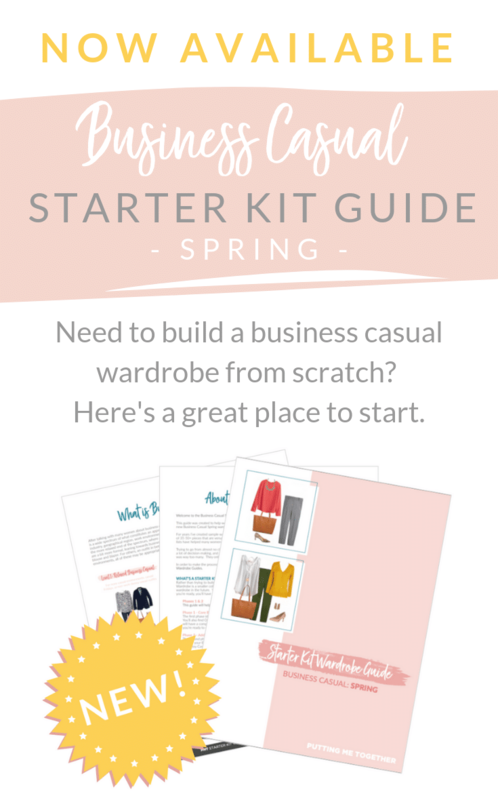 See my outfits with them HERE. Find the booties HERE. 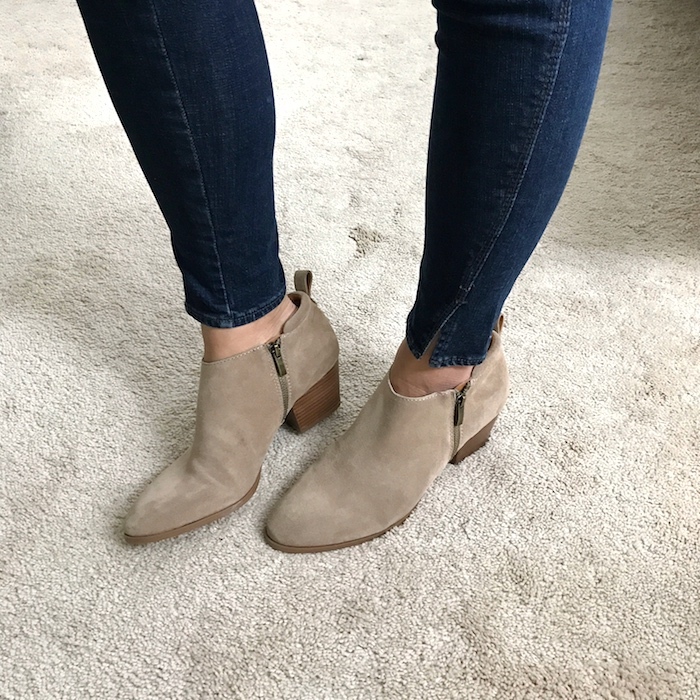 See THIS post on Choosing the Right Pair of Ankle Boots for what I mean about boots cutting off my legs. 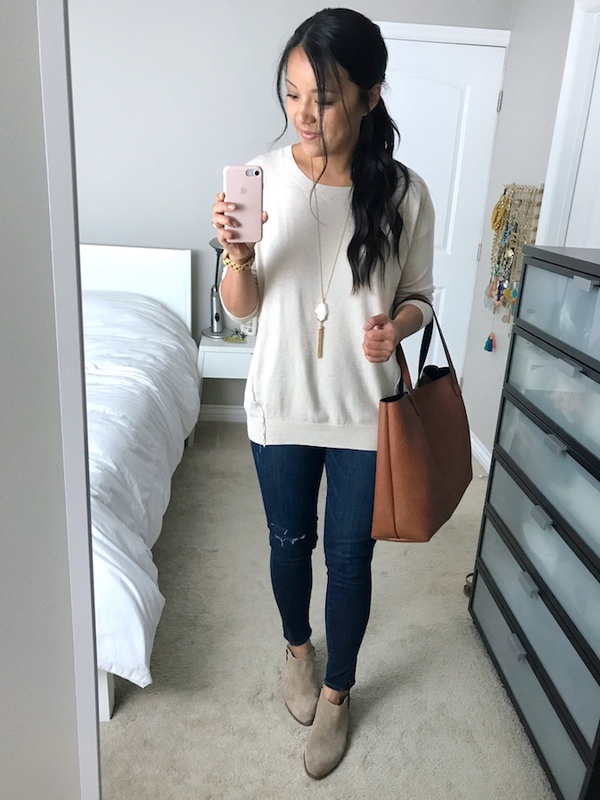 I showed this sweater already, but it’s totally underrated and I don’t see a lot of bloggers talking about it, but it’s sooooo good so I wanted to highlight it again. It’s so so so so soft! 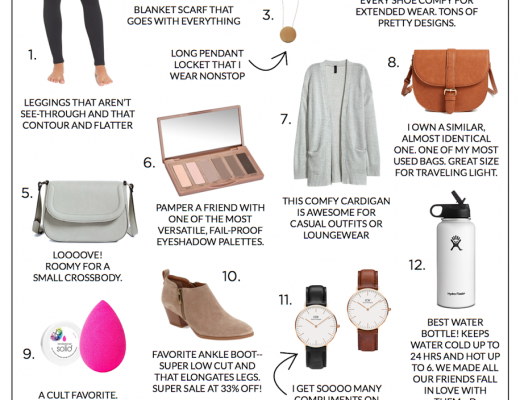 And if you like that slouchy, relaxed fit, this does that so well! After I posted it on Facebook a couple people told me they got it at last year’s sale and it washes really well. Great to hear! You never know, you know? This has seams on the side that I could do without, but they’re not a deal breaker. You can see them better on the product page. 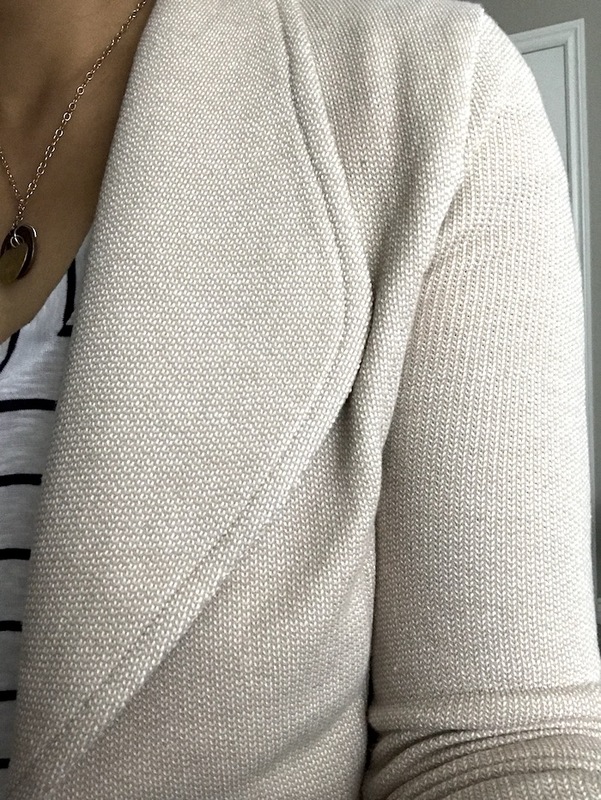 The sleeves and hem have elastic, which makes them bottom of the sweater kind of wrap around your rear. 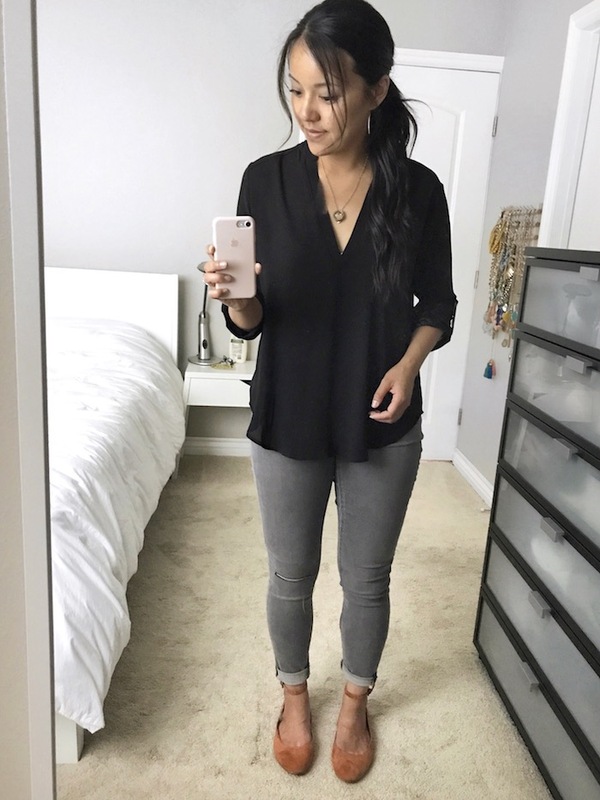 Because of the fit and the elastic bottom, I don’t know if it’d work well layered over a button up, but it would be great for lounging with leggings (see my favorites below) or like above with jeans and booties. 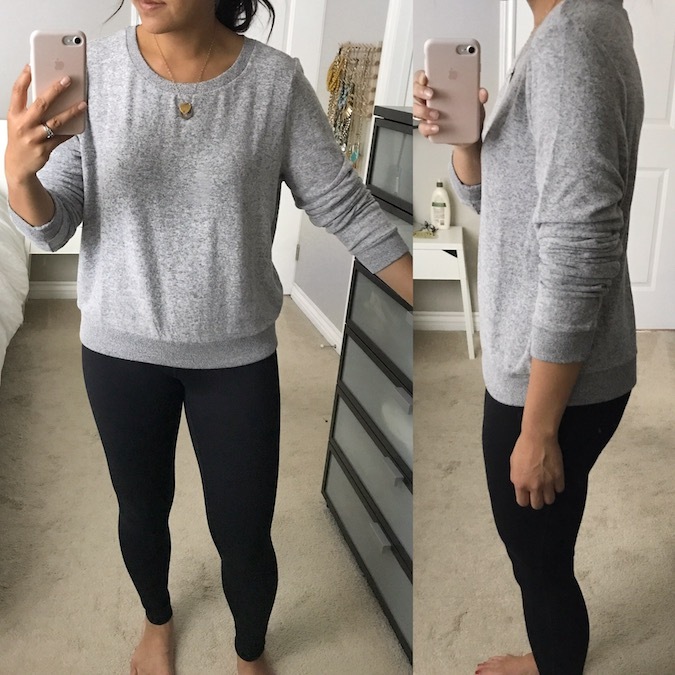 I HIGHLY recommend this sweater and think you should scoop it up before more people find out about it! Comes in 4 veryyyy good colors! See them HERE. I really love these jeans, but I’m also proceeding with caution–as should you. I LOVE how they fit on me! I thought I’d hate the weird twisted seam, but it actually kinda makes me love the jeans more. And no, they don’t feel any different from a regular seam. Parts I’m unsure of: They have a tiny bit of stretch, but I want more. I’m concerned they will stretch out too much, but it’s been too hot in my house to wear jeans for 3 hours to test them for stretching. I will do that eventually. Also, with the slits at the bottom you can’t really roll these up for ankle boots or anything like that. Luckily for me, they work with my Franco Sarto booties sans rolling up, but just wanted to give you all a heads up. On sale, they are only $44.90. I need to test them for stretching, but I want to love these so much because they are so flattering on me! See them HERE. I got these at last year’s sale and LOVE them! They are thick and not see-through. They’re actually workout leggings, but I also styled them in 3 casual outfits HERE. 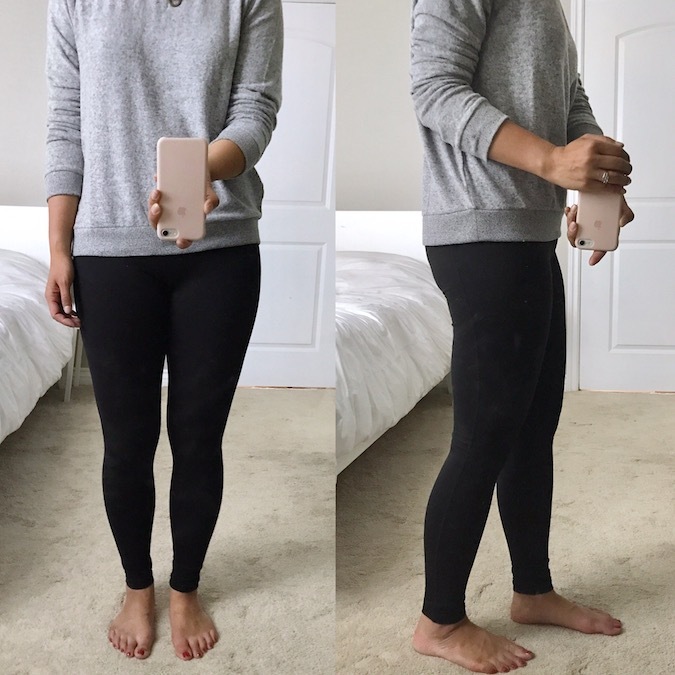 There is a high, wide waistband that I thought I would hate, but it turns out that’s what makes these leggings so awesome. It flattens your stomach while also holding up the leggings so that you don’t have to pull them up through out the day. Someone on Facebook asked if these were shiny like other workout leggings. The answer is no. Totally matte. I wear these both for jogging and for casual outfits. They are normally $54 and marked down to $35.90 and soooooo worth it at that price! Get them HERE! This is super soft and fuzzy and cozy! It’s just a *little* short for my taste–and that’s coming from someone with a short torso. 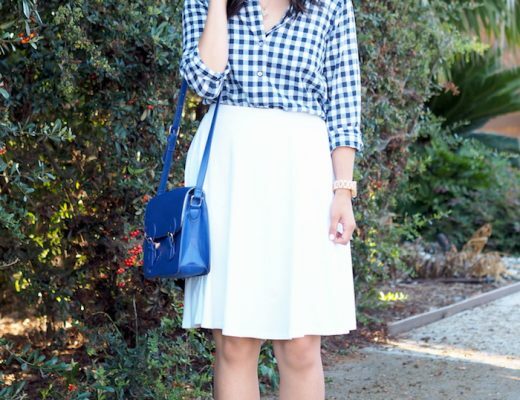 Would probably be better for petites and not great for those with long torsos unless you want a cropped look. It’s 23″ long. Otherwise, it’s a VERY SOFT sweatshirt that’d be great for lounging in, and it’s under $29.90 on sale! See it in black and grey HERE. 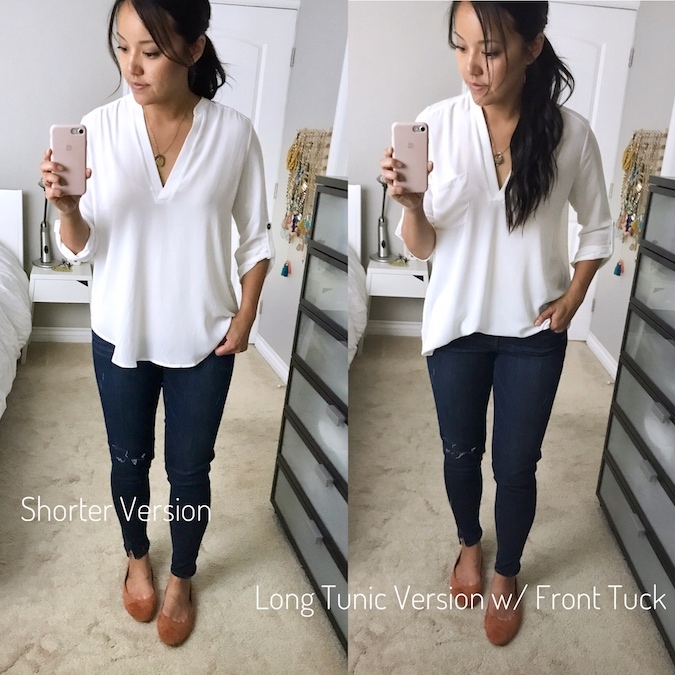 There is a much longer tunic version of this top that is a huge cult favorite, and then there’s this shorter version that is part of the Anniversary Sale. The longer version is not part of the Anniversary Sale this year, but it’s basically always marked down year round and the same price as the shorter one, at $27.90 right HERE. I have the longer one in Ivory and Sphinx, and the shorter one in olive. 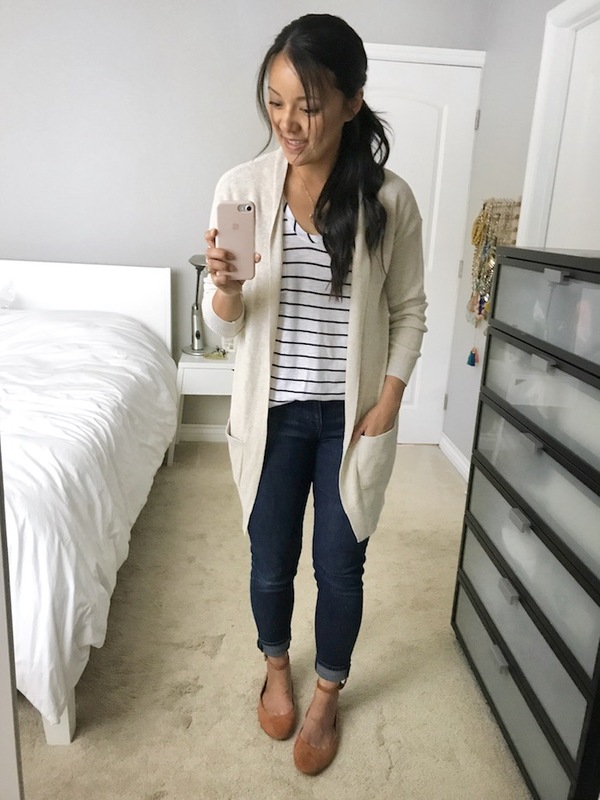 These are amazing because they drape very, very well, and they are as easy to throw on as a t-shirt but are much more comfy with the loose fit and look way more put together! Above I’m showing the shorter one and my old longer one in Ivory. I actually preferred the longer one on me in Ivory. The shorter one makes my shoulders look very broad, whereas the longer one drapes much better. The side view shows me doing a front-tuck with the longer one, which you can barely tell because it’s so darn long. The way it drapes helps it lay flat with a partial tuck instead of sticking out awkwardly like some stiffer shirts do. Find the shorter one HERE and longer one HERE–both are the same price. See my outfits with the longer version HERE. While I didn’t love this top in Ivory, I liked it in black as it didn’t make my shoulders look broad. Oh btw this comes in 5 colors. Also, consider getting it in Sphinx! I have Sphinx in the longer version and get asked about it ALL the time. But, that color hasn’t been available for 3 years (!!) until now in this shorter version! Go get it while you can! See my outfits with Sphinx HERE. And get it HERE! Last I checked, these jeans were sold out. In case they come back in stock I’ll talk about them. They’re very stretchy and soft and comfortable! They have a raw hem, which I’m not sure if I like, so I also rolled them up to see if I liked that. I love the wash and the single line of distressing. I’m worried they would stretch out a lot given out stretchy and soft they are, but I didn’t have time to do my typical jeans test (wearing them around the house for 3 hours to test for stretching). Aren’t these ADORABLE? Red flats make every outfit pop, but if a saturated red is too bold for you, this rust color is a perfect more muted tone! For comfort, they are not outstandingly comfortable, but they are not bad either. The footbed has a *bit* of cushion. The upper is allllright. It will probably need breaking in as it feels a tad stiff against my toes in a couple of areas. But overall I feel like you’re getting what you pay for–at sale price at least. These also come in black, teal, and a floral print. See them HERE! Unfortunately this color is sold out, but I think returns from previous customers will make some available. I didn’t realize this one would be textured like the grey one, but it is, and I like that! This runs quite large, as I’m in XS. S fit more like a boyfriend fit, as I wrote about in my first review. These have no lining and are fairly thin, but they are veryyyy comfortable and feel like sweatshirts yet look much, much, much more polished. I’ve already reviewed these, but just wanted to tell you about the tan color being textured! See it in 5 other colors HERE. 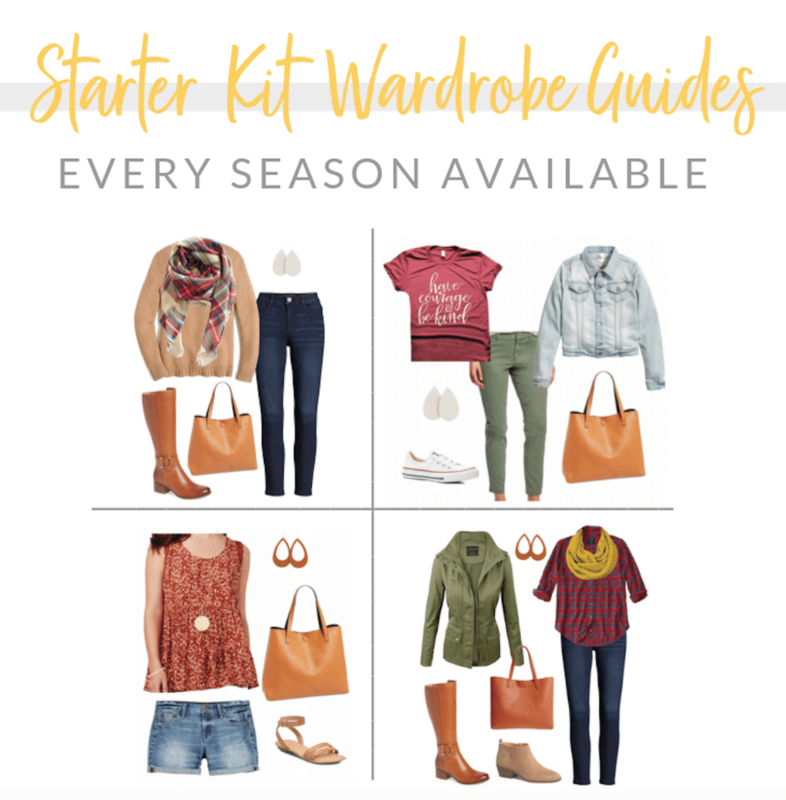 See my outfits with the olive one in size S HERE. These went out of stock FAST, so if you can catch it in any color, GET IT. And size down! I have last year’s version in several colors and get asked about them CONSTANTLY. Year round. It’s nuts! 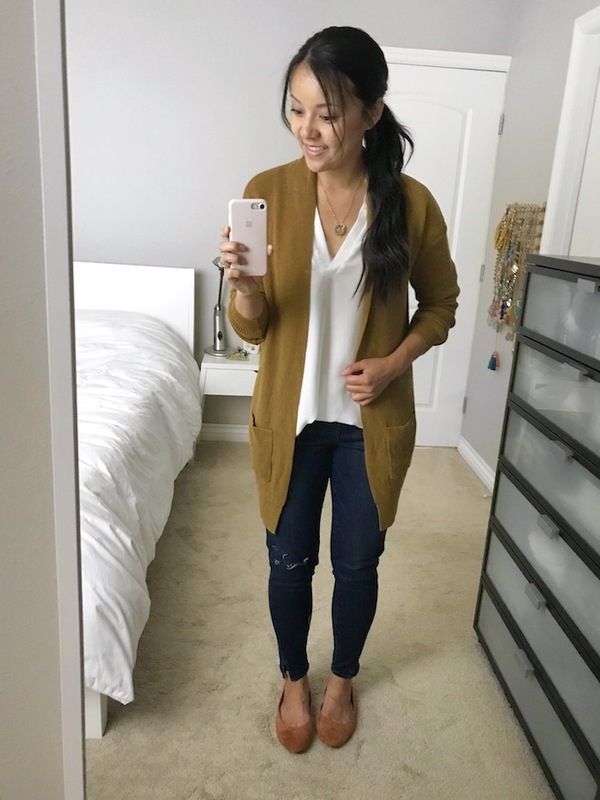 People love these cardigans! Like, don’t forget about the Wit & Wisdom bootcut jeans that feel like yoga pants!! 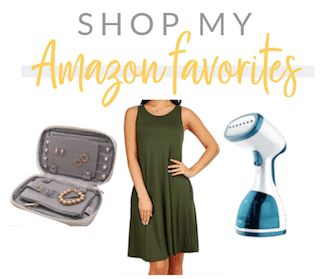 !, waterproof ankle boots, the striped long sleeve tee, the awesome short sleeved striped tee, the plaid shirts, amazing stretchy but firm black skinny jeans, and super soft dark wash skinny jeans, among others! Also, coming up…MEN’S STYLE picks! Some of my husband’s favorite pieces are around this year in updated versions or new colors. I’ll create a board or shop widget with those soon! 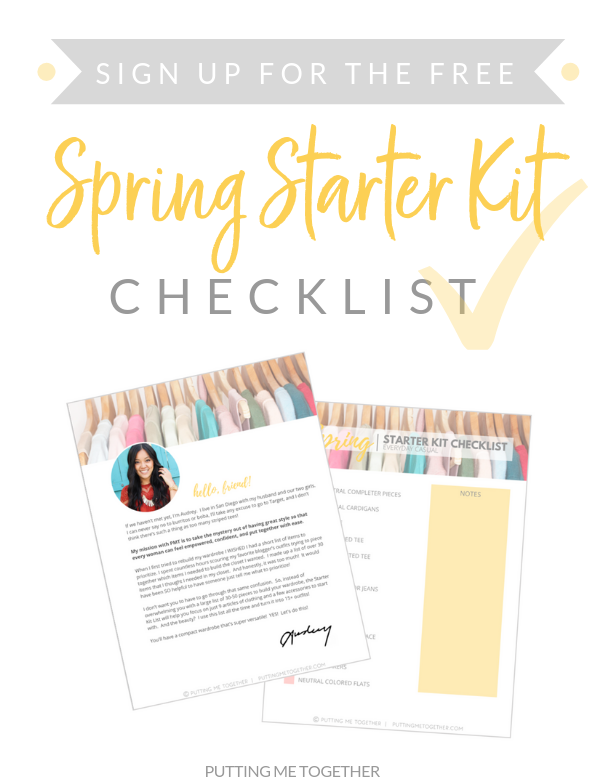 But for now, here are some building blocks you can use to create a list for any guy in your life: Men’s Wardrobe Building Blocks. 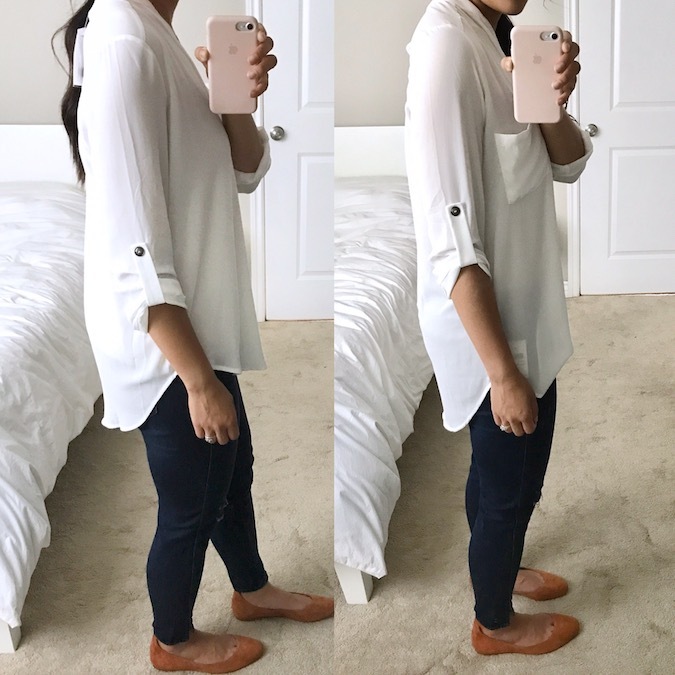 Casual Statement Tops: Why You Need Some!